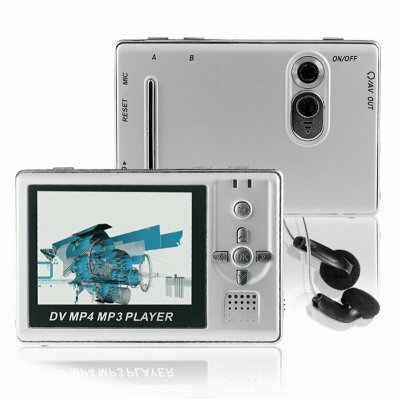 Successfully Added MP4 Player 1GB + 1.3M Pixel Camera - 2.5 Inch Screen to your Shopping Cart. Small sized 1.3M pixel digital camera and MP4 player combo with a good sized 2.5 Inch TFT LCD display. This is a PMP with many great features that belie its very low wholesale price. Such features include its digital camera and camcorder options, background customization, SD card slot for expanding the memory 2 more GB's, built in adjustable calendar and time display, and an NES emulator for hours of old style gaming. This wholesale MP4 player is available with no M.O.Q. (no minimum order quantity) and Chinavasion's one year warranty. So feel free to purchase as many or as few of this great PMP with full confidence that you are getting an excellent buy.